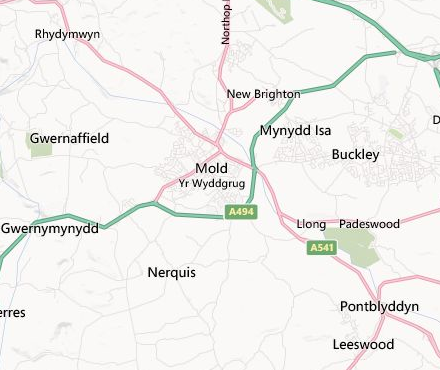 A1 are a local company based near Mold providing a excellent service throughout the region and nearby. Our reputation is strongly backed up throughout the area by our customer testimonials. For a friendly yet efficient service call us on 01244 340042 or 07840451745. You can find out about our services or view our customer testimonials here. We have strived to provide quality house clearing services, and a variety of other clearing services in the Mold area. Weather you require domestic clearance, furniture or other removal, or commercial work in the Mold area, we can help. Please contact us for a friendly chat on how we can help you with any of the services provided in the following detailed list.